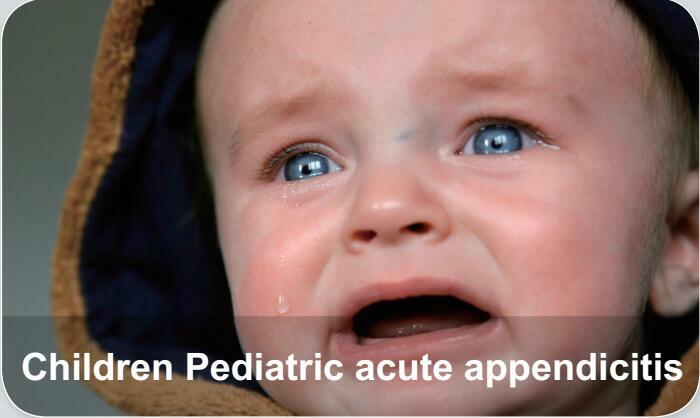 Acute appendicitis is the most common acute abdomen in children,and the general symptom is more serious than in adults. Appendicitis is inflammation of the appendix. It commonly presents with right lower abdominal pain, nausea, vomiting, and decreased appetite.However, approximately 40% of people do not have these typical signs and symptoms.Appendicitis is caused by a blockage of the hollow portion of the appendix, most commonly by a calcified "stone" made of feces.